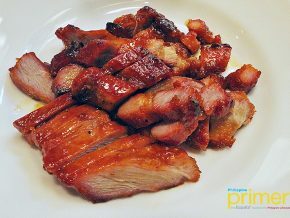 There’s a whole new world unexplored when it comes to food. And while people have cuisines in mind, we are actually talking about vegan and vegetarian plates. In Corner Tree Café, their happy and quaint corner for health enthusiasts aims to introduce a kinder diet not just for the body but for the planet as well. 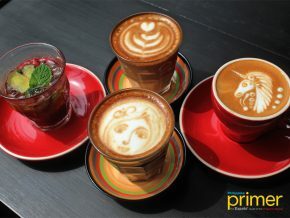 From its corner in Jupiter Street in Makati, the cafe has finally extended its doors at Powerplant Mall Rockwell! Dispelling the myth that vegetarian foods are unappetizing, Corner Tree Café is exploring the culinary scene by introducing healthy veggie menu. 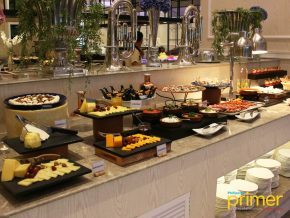 They are an absolute haven for meat eaters who would want to try vegetarian meals! Try their Vegetarian Dumplings (Php 205) and be surprised as you won’t even think that the insides are stuffed with veggies. Instead of the typical meat for the filling, their version has shiitake mushrooms, spinach, carrots and turnip mashed together to fill the dumplings. 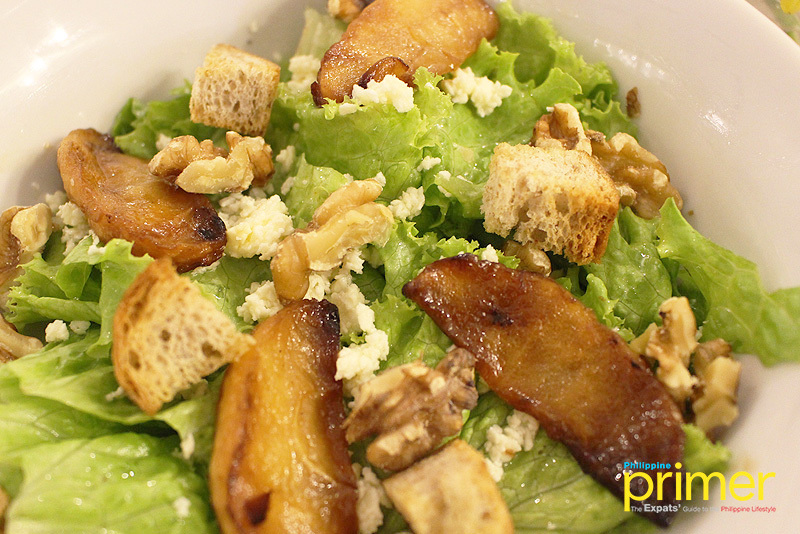 For salads, try the Caramelized Apple and Feta Salad (Php 260/Php480) with walnuts, garlic croutons, and organic greens, a perfect vegetarian salad bowl with apple cider and honey dressing that brings out a sweet and sour finish. This healthy bowl can also be customized as a vegan plate, just ask the attendants and they will happily provide you with vegan options. Another favorite serving here is their Spaghettini with Broccoli and Pine Nuts (Php 340). The olive oil, garlic, lemon, and nuts work together to bring out a not-so-salty pasta plate in which you can customize by either adding almonds or pine nuts and changing the pasta into a gluten-free one. 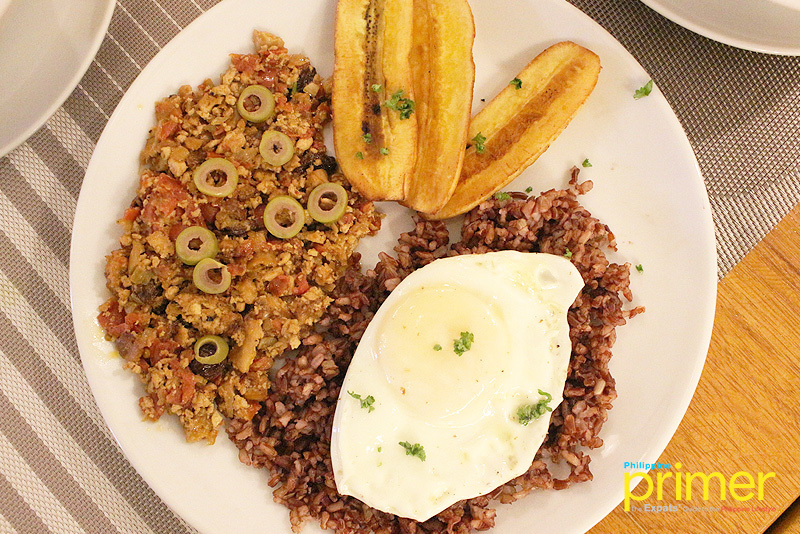 For mains, they also have rice servings here like the Arroz ala Cubana (Php 270). 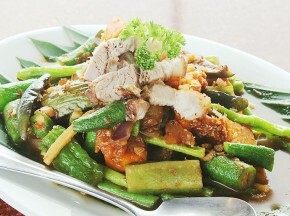 It’s a flavorful plate of minced tofu, tomatoes, green olives and raisins served with fried bananas on the sides. You can have the option to add a fried egg if you’d like, to top the red rice serving. The rough texture of the red rice perfectly complements the minced tofu as it is seasoned with tomatoes and green olives to bring out the meat-like flavor. 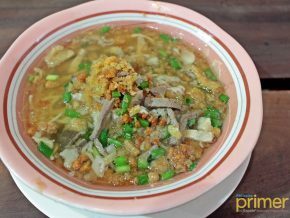 This is typically served in Filipino plates with ground beef so the minced tofu is actually a good replacement to the meat. Plus, it’s also gluten-free! If you’re worried about your little ones, they also serve kiddie meals, and you can have a vegan option for the classic Spaghetti and Meatballs or Meatloaf with gravy and mash. 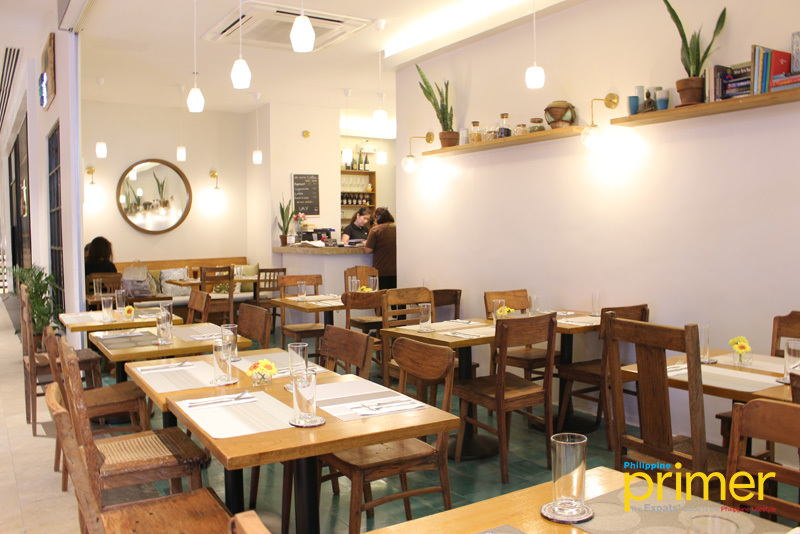 Serving all-time favorites with guilt-free twists, Corner Tree Cafe explores the vegetarian cuisine in the Philippines as they also take a big part in the movement towards saving the animals and the planet. This charming and cozy cafe is located at the wellness center just beside the movie house and pampering boutiques, perfect after Sunday movie nights or relaxing spa parties! A kinder diet that gets people excited about meatless food and introducing a more conscious kind of eating—Corner Tree Café wants to showcase that there’s nothing to be scared of in trying vegetarian or vegan meals every once in a while. Who knows? This might introduce you to a lifetime of healthy, super easy to eat foods. Remember, you don’t have to be a vegetarian to enjoy their food! By Public Transport: Hop on a bus taking the EDSA route and take off at Estrella. Walk towards the Estrella overpass towards Kalayaan Ave and then walk towards Hidalgo Drive.